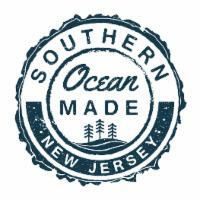 -Representing the distinctive products manufactured in the region, the Southern Ocean Made accreditation program launched the trail in 2018 to showcase the quality craft breweries as well as local businesses that blend into the surf lifestyle grown out of the Long Beach Island region. The inspired brews and designed products, create a one of a kind opportunity for adults to follow an itinerary that gives them an insiders tour of all aspects of the area. Looking to advance beverage tourism in the region, the Southern Ocean County Chamber of Commerce has partnered with member Izzo’s Brew Bus for tour takers to have an option for an escorted tour through parts of the trail. Izzo’s Brew Bus is an all inclusive craft beer experience servicing the craft beer culture by providing a 15 passenger vehicle to provide a knowledgeable and entertaining journey. This is an opportunity for enthusiasts 21 or older to experience our unique Jersey culture, get to meet local experts, try authentic products, while choosing which stops to make along the trail. Izzo’s Brew Bus will be promoting the trail with their statewide offerings. They will have Surf & Sip Brew Tail maps for passengers and offer this service throughout the year. In addition to the breweries on the trail, passengers can use the bus to find the other stops as well. To book the bus, there will be an hourly fee that will be arranged directly with Izzo’s. The trail itself requires no purchase is necessary to get your map validated. It was created to encourage enthusiasts to check out locally designed and manufactured surf related products, as well as scheduling lessons or SUP tours for future visits.